The Social Golf Course was written by Zeb Welborn and John Hakim. In Episode 68 of the Defining Success Podcast we go through our book chapter by chapter and discuss the ideas presented in the book. 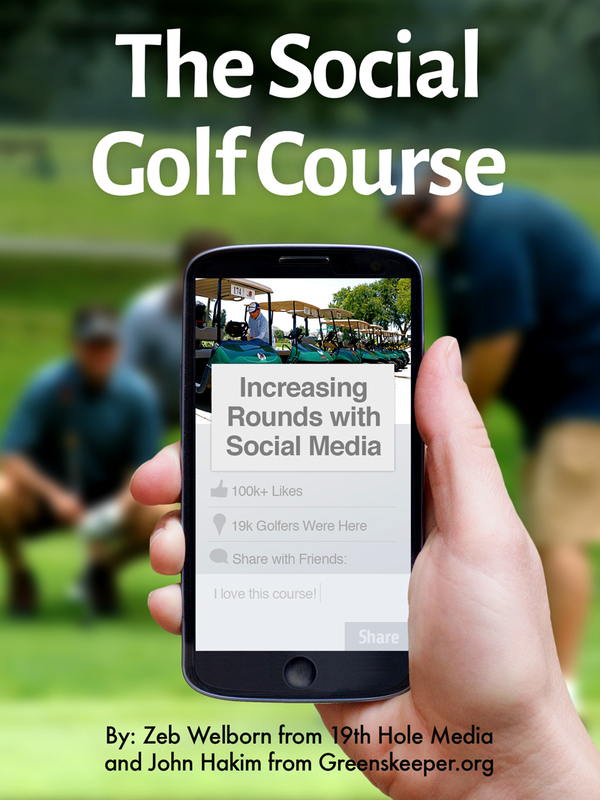 At the end of each chapter we present a question in our book, which we encourage readers to engage with on our website, SocialGolfCourse.com. In Part 1, we discuss Chapters 1 – 8. Chapter 1: The Death of the Traditional Golf Course. When I think of the glory days of golf, I think back to the time my grandfather played the game as the men’s club president at his local golf course. The times have changed and we must think about the game differently. The local golf course must take the responsibility for developing and enhancing their local communities — online and offline. Question: When were the glory days of golf? Chapter 2: An Industry in the Rough Golf has been in decline since 2005. It’s been a scary time in the golf course industry with more courses closing than opening and the outlook doesn’t look pretty. Golf courses need to take a much more active role in promoting the game. What is the biggest problem facing golf today? How can we fix it? Chapter 3: The St. Andrews Model St. Andrews is the undisputed home of golf, but it is not by luck. St. Andrews marketed themselves and their golf course to the world which has made St. Andrews the most recognizable golf course in golf. 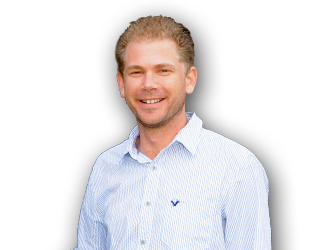 The most important thing golf courses can do is to market their golf course effectively. What are some interesting ways you’ve seen golf courses market themselves? How do/would you market your golf course? Chapter 4: The Mulligan Tee time wholesalers have been detrimental to the golf course industry. Social media has created an opportunity for local golf courses to eliminate the need for tee time wholesalers and create a strong personal brand for themselves. Are tee time wholesalers good or bad for the golf course industry? Chapter 5: Golf is a Social Game Golf is a social game. It’s a no brainer that social media and golf go together. Chapter 6: Marketing in Today’s Economy Effective marketing methods change all the time. Right now, social media is outperforming all other forms of advertising methods. We all must learn how to market effectively as technology is changing the way we live and the way we consume information. What is the future of marketing in the golf course industry? 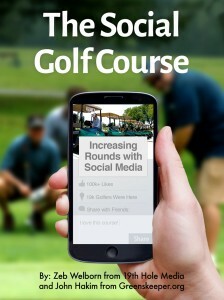 Chapter 7: The Golf Niche Golfers are really easy to reach through social media. Targeting features on different social media platforms offer a great opportunity to connect with your target market. Who is your ideal customer? How can you get them? Chapter 8: How Being Social Can Increase Profits at Your Course The big question is, how can social media make money for your golf course. In this chapter we go in detail about how social media works and how you can profit from using social media at your golf course. How has social media impacted your relationship with your customers? Part 2 will complete our discussion on The Social Golf Course. This entry was posted in Episode 068: The Social Golf Course: Part 1 and tagged Book, Defining Success Podcast, Golf Course, John Hakim, Local Golf Course, Mulligan, St. Andrews, The Social Golf Course, Zeb Welborn on March 14, 2014 by Zeb Welborn.